You should always give 110% to your brand - period. No matter the company type or industry, you should have promotional videos for your brand. It's imperative to share the unique value of your brand, product or service with people that matter, and there's no better way to showcase your unique brand proposition other than with video. But, what is the recipe for successful brand promotionals? This year, we're taking the opportunity with some of these silly National Days to share some of our favorite recipes for successful videos! And this month, we're celebrating National Donut Day. 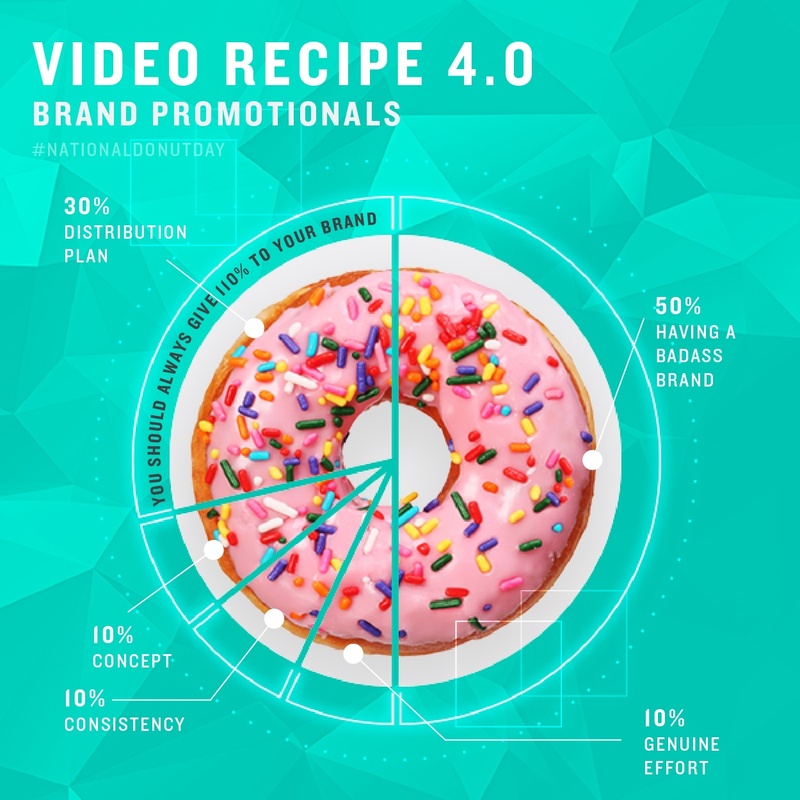 Here is our recipe for stellar brand promotional videos. Check out the full-size graphic, here.